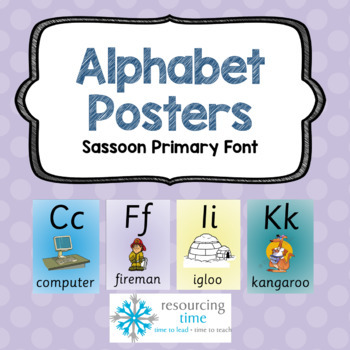 Eye catching alphabet posters in Sassoon Primary Font that will brighten your classroom! 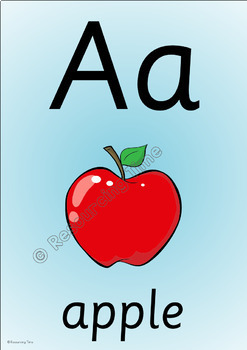 A4 Alphabet Posters - colour background on each page, high resolution and fun clipart with bold letters in upper and lower case + word beginning with letter sound. Thanks for stopping by Resourcing Time! 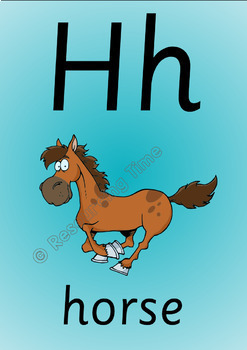 Please leave a review. 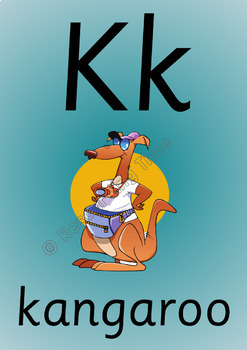 Like my page Resourcing Time for updates.